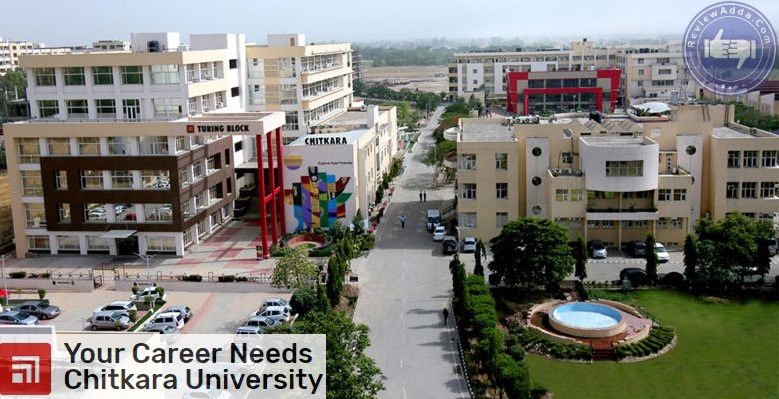 Located on Chandigarh- Patiala National Highway, Chitkara University is one of the prominent universities that is established in the year 2010 by the Chitkara University Act by the Punjab State Legislature. Chitkara university possesses the right to grant varied degrees as per few sections named 22(1) & 2(F) of the UGC Act of 1956. Carrying a student-centric approach, Chitkara University is known to be one of the Best Private Universities of North India. The university is offering quality education since its inception much to the complete satisfaction of its students. Chitkara University is offering numerous multi-disciplinary programs that are perfectly designed in accordance with the current industry needs. Right from nursing technologies to electronics, management and Hotel Management Programs, Chitkara University is offering a wide gamut of programs to the students. Chitkara University is offering a value-based curriculum to the students that is delivered in the modern classrooms that are well-equipped with the modern laboratories and communication technology equipment. Students have access to many clubs & societies in the university that can help them explore their hidden creative talents. A large number of foreign students study at Chitkara University and many of them visit the university on exchange programs. Chitkara University is completely committed to offer excellent education to its students that has helped the university to grow strong within a short duration. Chandigarh city is well-connected with nearly all the places of the country through road, air s well as rail networks. Chandigarh has a proper air connectivity with all the major cities of India such as Mumbai, Ahmedabad and New Delhi. The Chandigarh Airport is only 11 kilometres away from Sector 17 city centre. Chandigarh city is properly located within a good proximity from the northern India major cities. The roads towards Chandigarh are in excellent condition and offers pleasant views to the travelers. The place is just 250 kiilometres of northern New Delhi and the journey only takes almost 5 hours. Chandigarh is connected with the other areas of India with an excellent rail network. Many important trains like Himalayan Queen & Shatabdi Express run between Chandigarh and New Delhi on a day to day basis. Trains are also run to other major important cities such as Kolkata and Mumbai. The railway station of Chandigarh is almost 8 kilometres away from city center located in sector 17. Chitkara University and its constituent institutions are duly recognized by University Grants Commission (UGC) and other apex bodies, and have memberships and accreditations of various national and international bodies and associations. Chitkara University is recognized by UGC & other bodies, and possess accreditations and memberships of varied national as well as international associations and bodies. Chitkara University aims to become a world class university with its quality education and enhancement of the various facilities offered by the university. Chitkara University boasts of modern infrastructure that facilitates a large number of services that are available to the students & faculty members. Chitkara University has spacious as well as amphitheatre-like classrooms that paves the way for a conducive study environment for the students. With the inclusion of modern AV teaching aids, Chitkara University lays emphasis on a focused learning by way of a number of lectures and presentations that are conducted in the University. 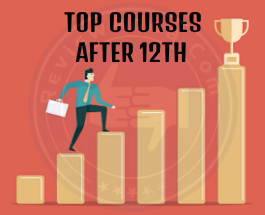 Apart from the regular study, many special classes & sessions are conducted to enhance negotiation skills, leadership skills, analytical skills, communication skills and business etiquettes of the students. Chitkara University feels proud to offer highly modern conference halls that have a large seating capacity in them. Here, a large number of corporate personalities, faculty members and students meet for regular conferences, interfaces & other events. Chitkara University, with its conference halls, provides an opportunity for the students to come across a large number of eminent leaders, corporate heads and academic gurus that share their rich experiences with them making them ready for the challenges of life. Seminar halls set up by Chitkara University can be said as the ideal venue for any type of presentation as they are well-equipped with a number of advanced presentation tools. Chitkara University is also equipped with high-end laboratories that has the best equipment as per the study requirements of the students. Special equipment present in the laboratory enhance the learning experience of the students to an optimum level. Some of the laboratories available in Chitkara University are computational & simulation labs in electrical engineering, Micro Controller & Microprocessor lab equipped with keil software, Embedded System Lab, Texas Instruments Lab, CADAENCE lab etc. Apart from these labs, a project lab having ultra-modern facilities is also established in the campus. Chitkara University Campuses are well connected with a highly secure & efficient network, where many personal computers are connected with the internet via broadband connection. All campuses posses modern computer centres that extend best computing facilities to the students. All the computers are connected with a plethora of communication, print and software services. Most of the campuses at Chitkara University are wireless that helps the students access internet anytime and anywhere. Latest software is widely used to work on web technologies, software designing and data analysis. The intranet of the campus paves the way for a constant on-line communication between students and faculty members. The library facilities extended by Chitkara University can be said as the cornerstone of its high-quality education system. The Library services of Chitkara University aim to bring forth the creation of novel knowledge by way of acquisition, assimilation as well as dissemination of the resources of knowledge. All the libraries possess large reading halls, group discussion rooms, periodical centres& online database browsing spaces. The libraries at each of the campuses of Chitkara University have spacious reading halls, periodical centres, group discussion rooms and online database browsing areas. Chitkara University Libraries extends wide array of materials in varied formats right from traditional books to films, and networked information as well as multimedia information from the whole world. Faculty members of Chitkara University helps the students of the University to use these local collections to get rich information about the specific topics. Apart from this, the students also have access to as many as 10,000 e-journals that are available online. The libraries of Chitkara University are the centerstage of exploration, research and creation. Here, the students gather to think positively and deeply. The libraries of all campuses has a great collection consists of as many as 57,800 items that includes journals, books, audio-visual material, CD- ROMs and microfilms etc. 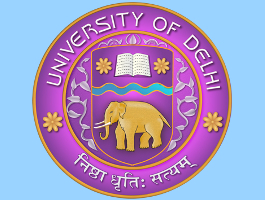 Chitkara University has a rich collection of many resources such as e- resources, ASME journals, EBSCO, ABI, Indian Standard Codes, Engineering Referex, EMERALD, IEL online etc. The libraries of the Campuses of Chitkara University possess an excellent video conferencing facility through which many NPTEL and EDUSAT programs are offered in different areas of education. Like all other facilities, the Cafetaria of Chitkara University also stands high in quality. The menus set by professional dieticians let the students enjoy wholesome and nutritious food that is beneficial for their overall health. Students can have tasty milkshakes, ice cream sundaes, fruit juices and even midnight snacks in the cafeteria. Chitkara University offers best-in-class accommodation facilities to the students who come from all the corners of the country to study here. The residential accommodation of the University campuses are truly fantastic and are set up in compliance with every need of the students. Chitkara University offers a separate hostel facility for girls as well as boys, best security arrangement and sincere & caring wardens that make students’s stay a pleasant stay here.Best internet facilities as well as STD facilities available in the hostels let the students remain close with their friends as well as family members. The common rooms are well equipped with indoor games, TV & other kind of recreation facilities. Chitkara University wants everyone to be in remain in high spirits and that is only possible when he is healthy. So, to ensure everyone’s health in the campus, the University has collaborated with the most prominent hospitals that manages any emergency that happens in the campus. Chitkara University also provides a medical insurance to meet the medical needs of the students. Chitkara University has set up 2 banks in the campus- UCO Bank and Punjab National Bank. Both these banks provide locker and ATM facilities apart from other kinds of banking services. BE/B.Tech- For this program, candidates need to pass with at least a 60% aggregate score in 12th class or he must have obtained 60% in Mathematics, Chemistry and Physics in class 12th. Admissions will be done on the basis of merit that will be based on JEE Mains or NATA. 10+3 diploma in any field recognized by State/Central Government with aggregate 50 % marks. 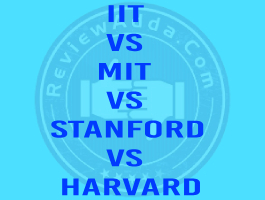 MBA- Bachelors with 50% aggregate scores in any field from the recognized university. 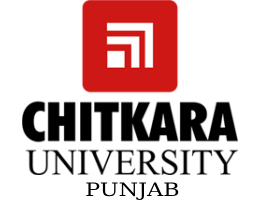 Chitkara University provides a variety of UG, PG & research programs in many fields such as Business and Management Studies, Mass Communication and Media, Commerce, IT & Software and Engineering etc. Candidates who wish to get enrolled in the undergraduate programs of Chitkara University must complete their 12th class with at least 60% marks in the specific subjects from a legal board. Candidates who wish to enroll into PG programs of Chitkara University must obtain their graduation degree with at least 60% scores in the specific subject done through a recognized university. Chitkara University invites application to a number of programs on the basis of JEE Exam (Mains/Advanced) NATA/CMAT/NMAT/MAT/CAT/GATE/XAT Scores. Aspirants seeking admission in Chitkara University Programs must have valid marks in the qualifying exam so as to meet the eligibility requirements for admissions. The admission process starts once the eligible candidate applies for the admission and his application is received at the admission office within the prescribed date. The main aim of the Counseling Process of Chitkara University is to provide help to the scholars and to let them choose their preferred course. Candidate is required to appear in person before the University counseling committee on the specified time and date. If the candidate is not able to do so, then his application stands rejected. 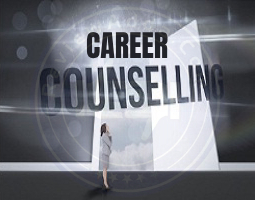 The candidates need to possess the documents information of which is provided at the counseling time. Seats at Chitkara University will be allotted to the students on the basis of merit as well as ranking of the candidates in the entrance exam. At Chitkara University, we understand that a regular attendance is much necessary for the students so that they can derive the complete benefit from the exalted academic knowledge imparted at the university. So, Chitkara University puts emphasis on regular attendance of the students. A student is eligible for a course exam if his attendance is 75%. The candidates are required to get registered for a particular course on the academic session's first day. In the events when the students is unable to register and is absent for a one week period, then his name will be struck off from the University rolls. All such candidates who have been granted Admission to B.E and MCA Programs need to possess a laptop. The laptop configuration information shall be found at the website of Chitkara University. A student can buy laptop for him for the prescribed configuration from any place of his choice. All the students studying in Chitkara University need to wear the uniform on every working day. students will get admission after the full free receipt at the counseling time. Students can pay their fees in cash or through DD. Cheques are not accepted for fee payment. All the students are required to pay their fees twice per year at the time that has been notified by Chitkara University. Delayed fee payment will impose a fine on the student as per the regulations and rules of Chitkara University. Fees shall be refunded with the deduction of the amount of Rs. 1000 against the processing charges & Rs. 2500 against the counseling fee if the application is withdrawn before the starting of the session. In the cases where application withdrawal is initiated after the starting of the session, the fees shall be refunded by making a pro rata deduction along with the Rs. 1000 deduction against the processing charges as well as Rs. 2500 against the counseling fee. The fees will be refunded within the time of 120 days after the starting of the academic session, in cases where the application of refund is submitted before the commencement of the session. A candidate who is not reporting of the registration at the registration date in person will have his seat forfeited and his name will be cut off from university rolls. The admission of the candidate whose eligibility is not according to the norms will also be cancelled. Candidates who seek admission in Chitkara University can apply through both modes- online and offline. Candidates can pay the fee through Debit Card/Credit Card/E-Challan/Net banking etc. In the events of submitting the fee through E-Challan, the candidate can pay the fee in any Indian Bank’s branch. OCI (Dual Citizens), NRI sponsored students, Foreign nationals, PIO card holders can apply under international students’ category. Admission process of Chitkara University comprises of the verification of the original credentials and getting declarations from the student/parents & also the Admit Card issue process on arrival in campus. Chitkara University sends a communication informing about the starting of the classes and other kinds of required information for the completion of admission related formalities. Candidates are required to visit the website to know the exact commencement date for 1st year classes. Recent Passport photos – 15 Nos. The Ph.D programs of Chitkara University is perfectly designed to provide deep knowledge through a value-based curriculum, projects, thesis work and seminars. The University helps the students to strengthen the intellectual skills and concepts and to analyze the knowledge associated with the related research areas in an objective manner so as to cater to the society needs. Chitkara University has a dedicated training as well as placement cell that helps the students in the recruitment process of the campus. The primary objective of the placement cell is to help the students become industry ready & to place them in the best companies around the world. The placement cell assists them in offering them industrial internships and visits so that they can get great practical exposure. Chitkara University has a number of key features that makes it one of the most prominent of all the universities. At Chitkara University, Programs are taught by local as well as international faculty in English language, student exchange programs, international co-operation in research, program development through international partners, dual-degree, international faculty exchange are some of the best features of Chitkara University. Chitkara University is proud to extend best curriculum and quality study to its students by providing them a great study environment in the campus. The university is truly world-class when it comes to campus recruitments. At Chitkara University, we lays emphasis on making our students "industry-ready" that helps them to soar high in their career. The university is the center for quality learning as it imparts great learning, top skills as well as understanding by way of practical experience. The applicant should have passed II year Pre-University Examination in Science, Commerce, Arts or equivalent qualification.